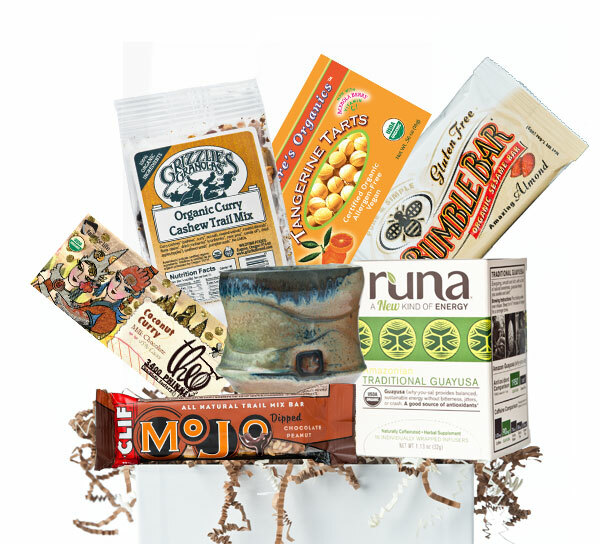 An organic “gift basket in a box” collection to spark the senses, featuring Runa Guayusa Tea, a unique traditional tea from the Amazon similar to Yerba Maté tea in its health and stimulating qualities. Grizzlie’s Organic Curry Cashew Trail Mix and a Coconut Curry Theo Chocolate bar add some spice, plus a delicious gluten free Bumble Bar—and another of our favorites—a beautiful handmade artisan teacup made in Boulder, Colorado. All presented in a beautifully illustrated, reusable keepsake box! Include your personal message with any gift!